This past weekend we got a chance to talk all things summer makeup with our friend Sara Vogel! While technically we know Sara because she is our brother’s sister-in-law, we’ve known her pretty much as long as we’ve known our sister-in-law, Erin, since we all grew up swimming together. Even though Sara is a nurse by day, outside of work she is one of the best makeup artists we know. Her look is always flawless! And so when we decided we really wanted to post about makeup summer essentials, we knew Sara was who we had to go to find out all best tips and latest trends! The Daily Soirée: We know that your makeup bag is full of amazing products, but if you were only allowed to use one thing this summer what would it be? Sara: My number one summer essential is sunscreen. For my face, I personally like a brush on sunscreen, such as Brush on Block. It is a mineral based sunscreen and so it goes on just like bareMinerals makeup. I love it because it’s not greasy and light weight. Overall, it’s perfect for when you are outside but not at the pool since it’s not water resistant. The Daily Soirée: We definitely understand the importance of sunscreen, but we have to admit that we do love the glow a tan gives us. What product would you recommend to give us that summer glow sans UV rays? Sara: I love the In Shower Gradual Tan by St. Tropez Tanning Essentials. Not only did it help prep my skin for a tan, it also helps keep my tan longer. The only downside is it does have a slight sunless tanner smell, but it is not bad compared to other products. The Daily Soirée: So now back to our face, what type of foundation do you recommend for these hot summer days? 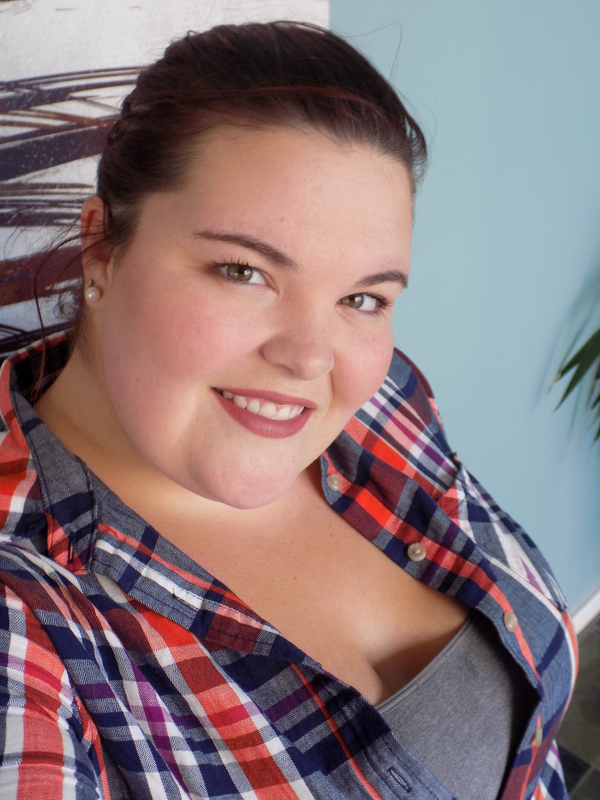 Sara: This summer I have been staying away from full coverage foundation in support of a more natural look. To achieve this, I use bareMinerals Complexion Rescue. Since I’m on the fairer side, I use the shade Vanilla. It gives a nice illumination to the skin. While I love the Complexion Rescue, I do still need to set it with the Elf High Definition Powder or I end up looking too oily. The Daily Soirée: What about concealers or highlighters? Do you have any favorite products you use? Sara: Just about everyday I highlight my face with MAC Pro Longwear Concealer. I use the shade NW15, which is just slightly lighter than my skin tone. It covers redness like a dream. 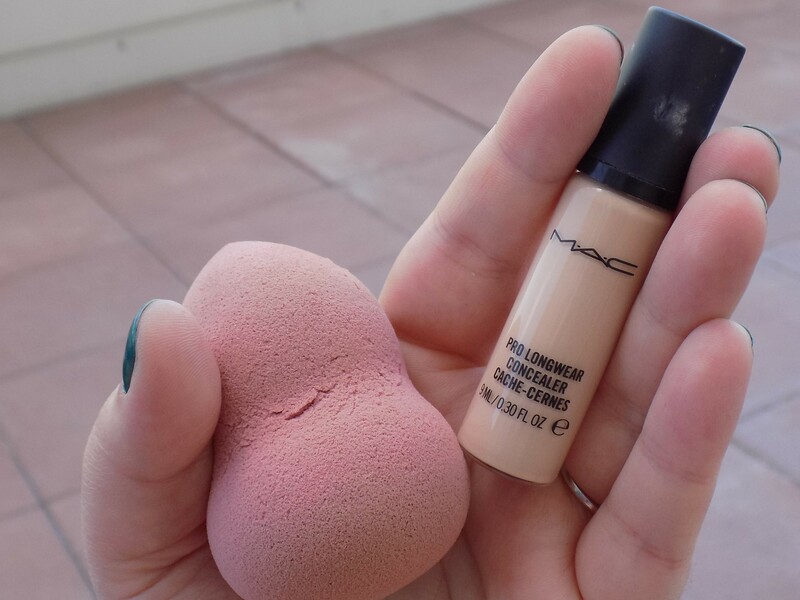 To blend out the concealer I use a beauty blender. I bought mine at TJ Maxx, but Ulta sells one by Real Techniques that works great and it is only $6! The Daily Soirée: We have to admit, that between work and blogging we haven’t been making it outside as much as we would like. What product would you recommend to give us a great bronzed look? Sara: You’re right, bronzed skin is always an essential, even if you have to fake it a little! The products I like to use to achieve this are Anastasia Beverly Hills’ Contour Kit and Tarte’s Amazonian Clay Waterproof Bronzer. All of the bronzing shades in the Contour Kit are matte so that makes them good for contouring as well as warming up your face. The Tarte bronzer, however, has shimmer in it and so it is only good for warming up the skin and not for contouring since shadows do not shimmer! The Daily Soirée: Are there any trends this summer that we should be adding to our makeup routine? Sara: There is actually! Strobing is the new trend for the summer.Strobing is basically bathing yourself in highlighter. My favorite highlighters are made by Becca Cosmetics. I have two of their shades Moonstone and Champagne Pop. Moonstone is a vanilla color while Champagne Pop is a pale gold color. Both are perfect for summer. If you have medium to dark skin tone you will want to stay away from moonstone though, because it may make you look ashy. Instead, I would try Becca’s Opal highlighter. The Daily Soirée: Now that we’ve got our face glowing and flawless, what about blush? Sara: My favorite blush for summer is the Tarte’s Tartelette 12 Hour Amazonian Clay Blush in Celebrate. Celebrate is good for pale to medium skin tones. It gives your cheeks a natural flush of pink. If you have darker skin tones I don’t think it will be dark enough to show up on your skin, but luckily Tarte has a lots of other colors you can try! The Daily Soirée: We all know that our eyes are the windows to our souls, so what products would you recommend to really make them pop? 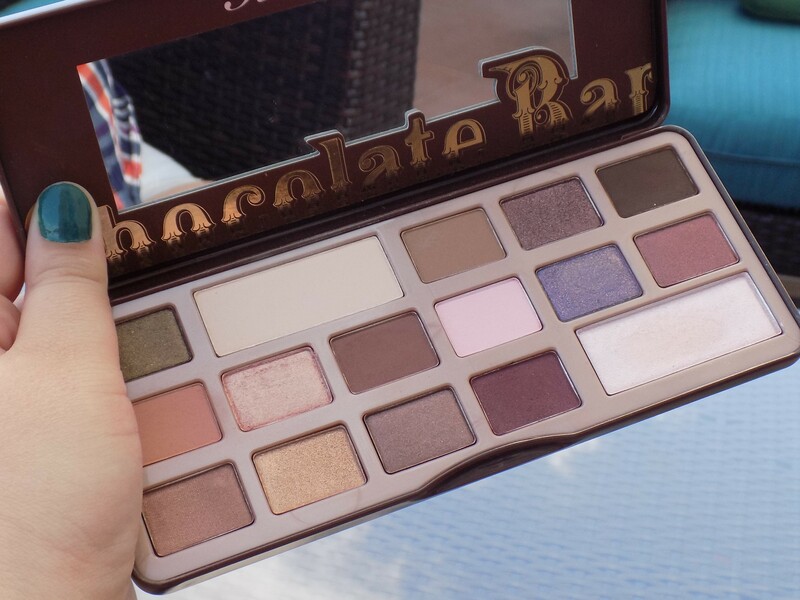 Sara: While I just got The Chocolate Bar Eye Palette by Too Faced, it has quickly become my favorite. It’s great for natural looks. I love that it has a great mix of matte, satins and metallics. Not to mention that it smells like chocolate which is definitely a plus! If you prefer cool toned eye shadows, then you might prefer the Semi Sweet Chocolate Bar by Too Faced. Mascara is definitely a must to finish off your eyes. My all time favorite mascara is Urban Decay Perversion. It gives both volume and length with no clumps! The Daily Soirée: I feel like we’ve touched on just about every thing except for our lips. What colors and products should we be buying this summer? Sara: My favorite lip combo is either NXY Natural or NXY Peek-a-boo Natural lip liner with Rimmel London Kate Moss lipstick in Number 8. Together they create a mauve pink lip which is really in this summer. While many people might not line their lips, I highly recommend it because it helps make your lipstick last longer which means less touch ups! The Daily Soirée: So what’s the finished look we can expect? Sara Vogel: It will be a bit different for everyone, based on your skin tone, but here you see my favorite summer look! The Daily Soirée: Now that we’ve finally achieved the perfect summer look, is there something we can do to prevent it from all melting off of our face the second we walk out into the heat? Sara: To keep your makeup on all day, I recommend using Urban Decay’s All Nighter Spray. After I finish my makeup, I spray my face with it and then I don’t have to worry about my makeup all day. The Daily Soirée: Thanks so much for sharing all your summer essentials with us! We can’t wait to pick up a few of these products and try them out! Sara: Anytime! I love sharing my love of all things makeup with others! We had an awesome time talking all things makeup with Sara, but we’d still love to hear from you! 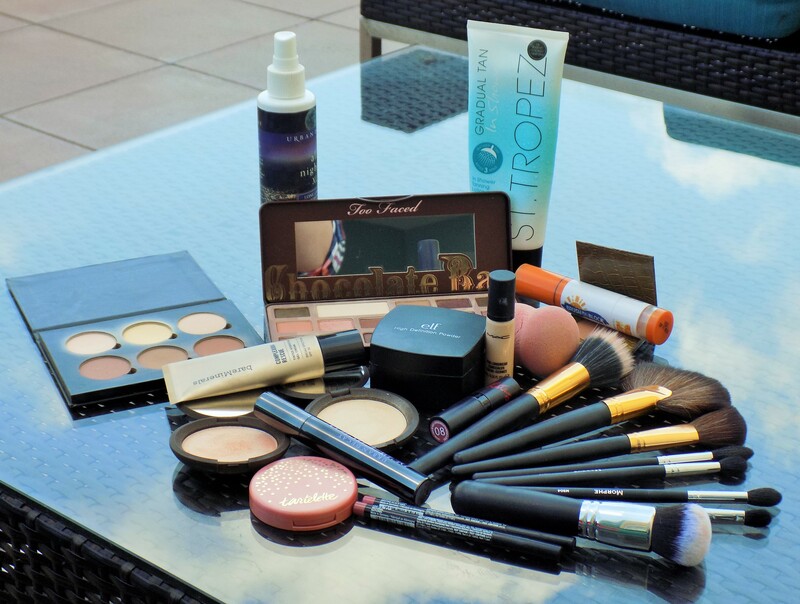 What are your makeup summer essentials?